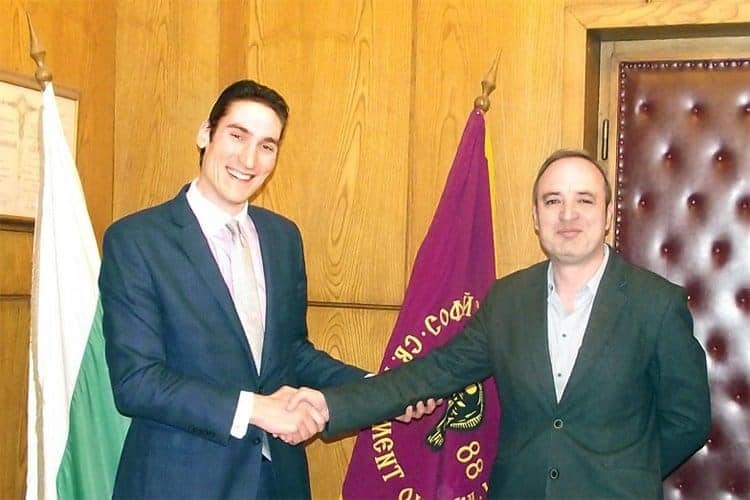 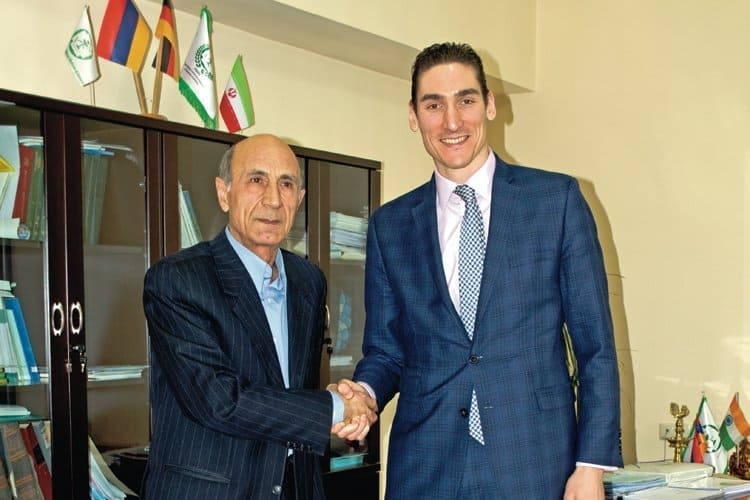 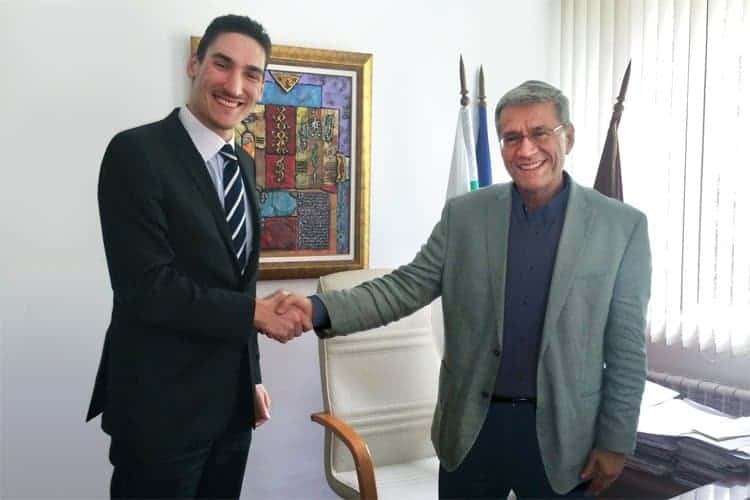 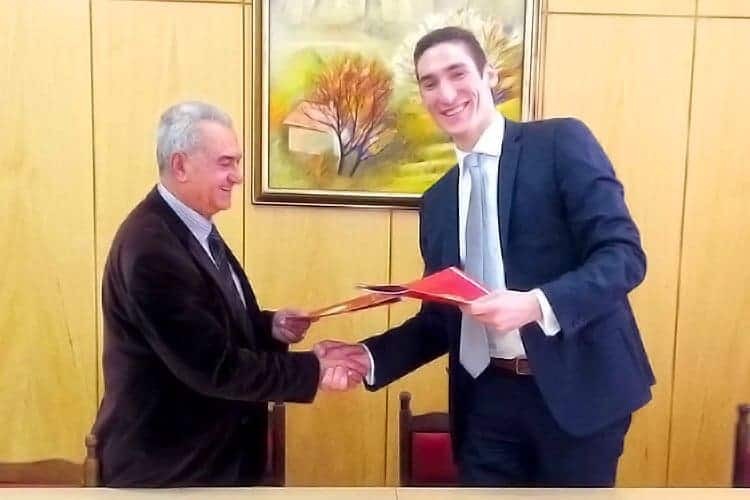 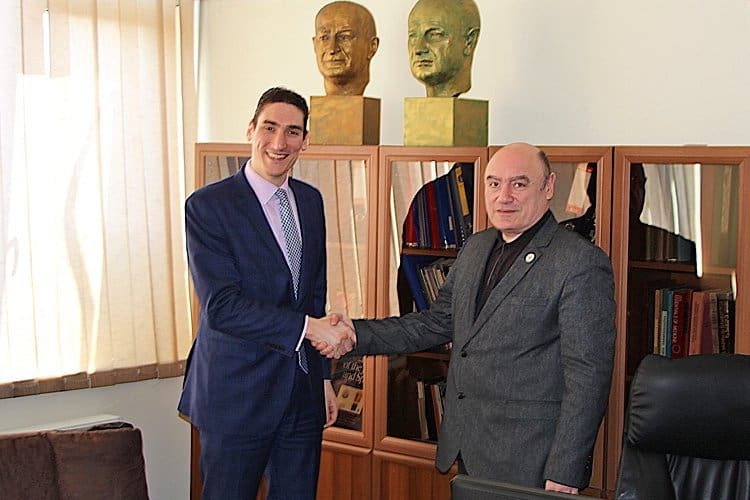 In the photograph (from right to left): Prof. Lali Mekokishvili, Dean of the Faculty of Medicine; Mr. Aris Grigoriou, Student Recruitment Manager of Study Medicine Europe Ltd. 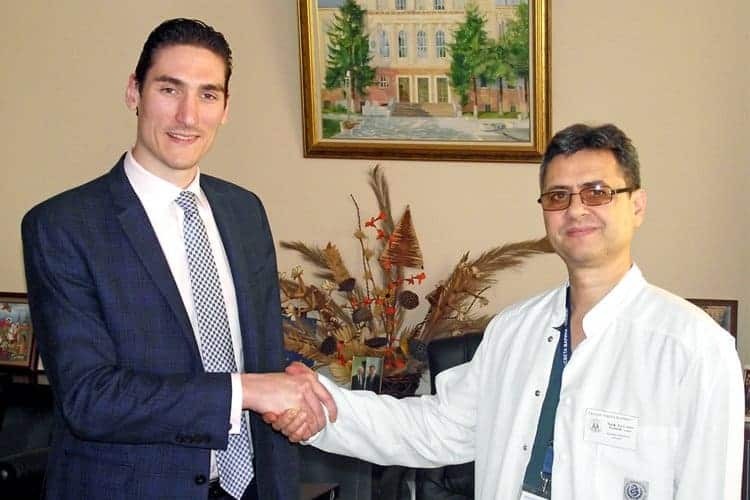 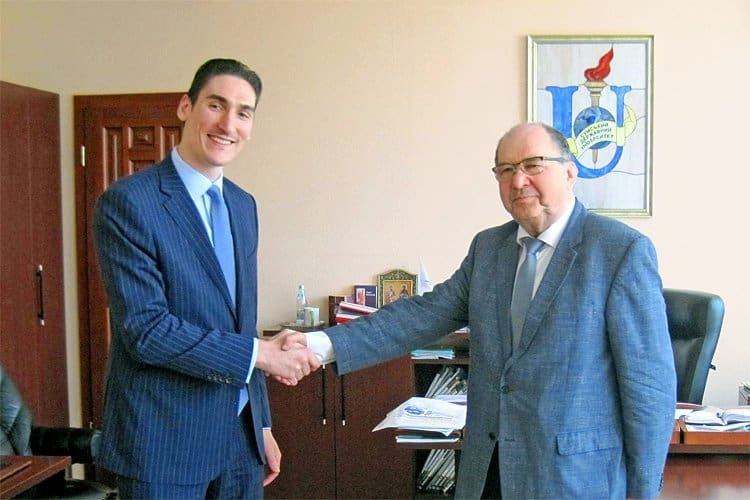 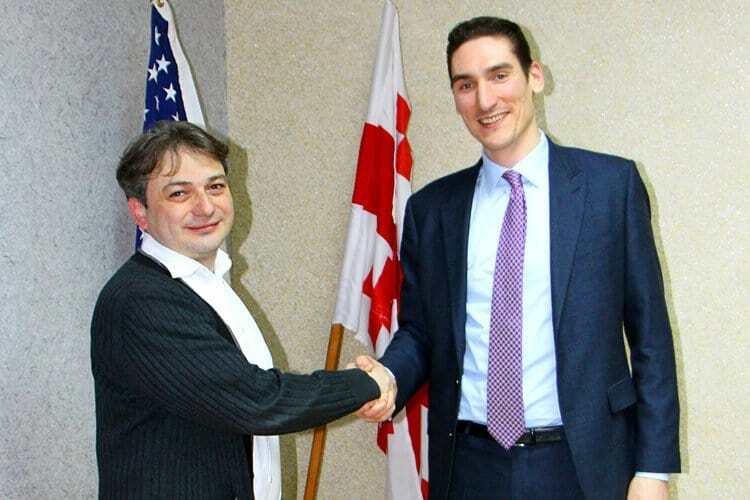 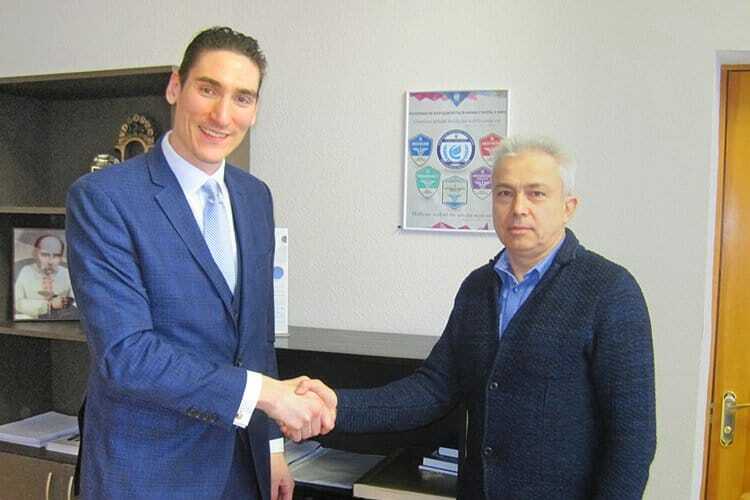 In the photograph (from right to left): Prof. Dimitri Kordzaia, Dean of the University; Mr. Aris Grigoriou, Student Recruitment Manager of Study Medicine Europe Ltd. 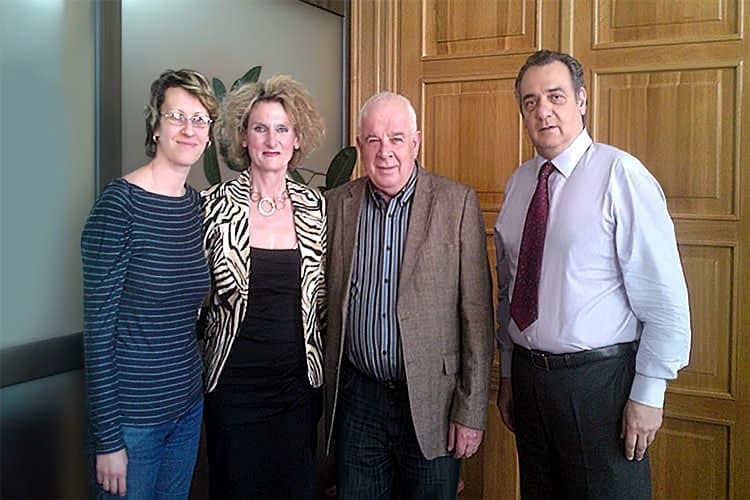 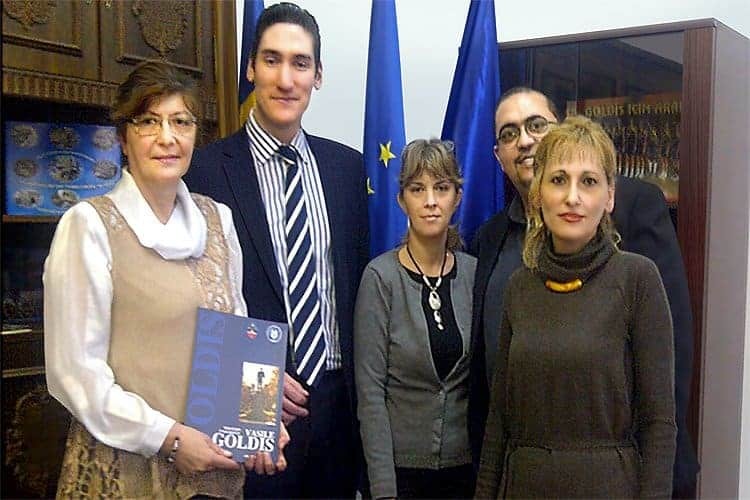 In the photograph (from left to right): Prof Corina Zorila, Vice Rector of the University; Mr Aris Grigoriou, Student Recruitment Manager of Study Medicine Europe Ltd; Dr Cecilia Avram, International Relations Manager for Medicine; Mr Nicolae Turbatu, International Relations Officer; Dr Antoanela Naaji, Director of International Relations Office. 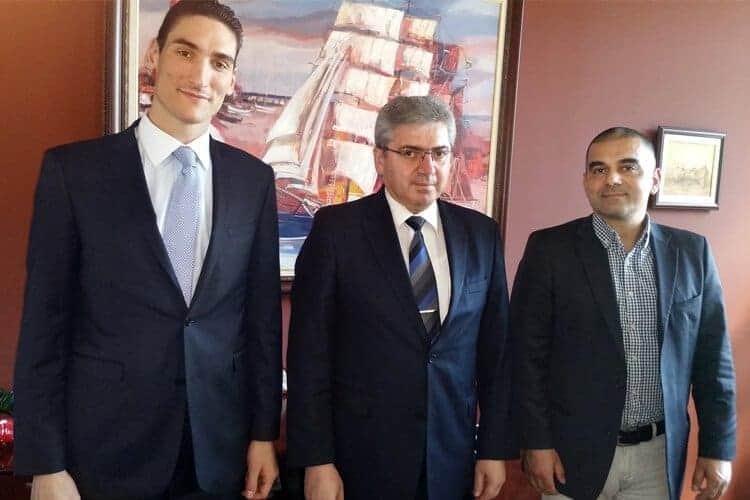 In the photograph (From Left to Right): Mr Aris Grigoriou, Student Recruitment Manager of Study Medicine Europe Ltd; Prof. Krasimir Ivanov, Rector of the University; Mr Nikola Trifonov, Country Manager in Bulgaria of Study Medicine Europe Ltd.